The Earth Defense Force has been defeated, and after centuries of oppression, Mars is finally free. For a time, there was peace. Yet from the forgotten ashes rose Adam Hale, scarred from years of struggle, seeking ultimate revenge against the Red Faction. His target, the one thing that keeps the surface of Mars habitable for thousands of colonists, is the Terraformer. 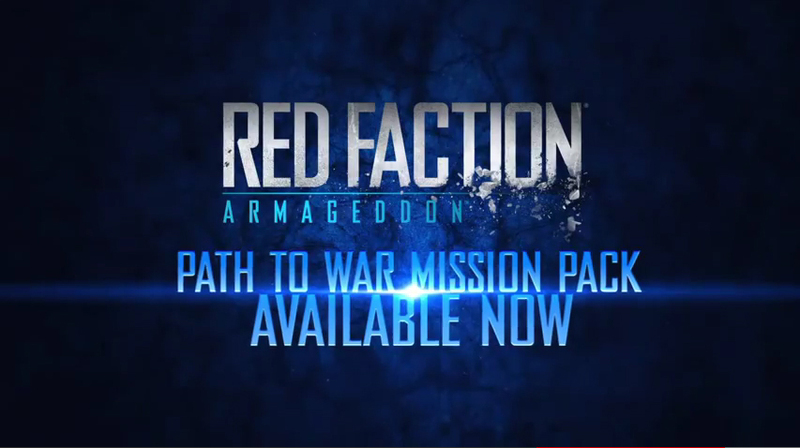 Relive the battle for the Terraformer through four incredible new surface missions featuring aerial flyers, orbital strikes, and the Red Faction armored surface tank. 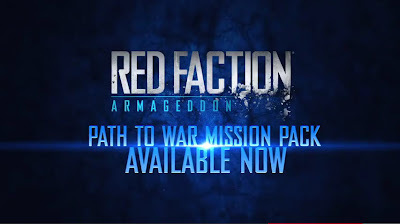 Unlock two destructive new weapons, the Sharpshooter harpoon gun and Shard Storm projectile cannon, while earning nine new achievements or trophies in this thrilling new mission pack for Red Faction: Armageddon! Path to War is available now on XBLA for 560 Microsoft Points, and on PSN and Steam for $6.99.